When the latest catalog for Connecting Threads arrived in my mailbox, I was immediately taken by their Neutral Love fabric line. These fabrics are such a great selection to add neutrals to your stash. I never tire of these colors. At a recent quilt show, I bought a pattern to make a masculine quilt, and I know I can certainly use some of these great colors. My plan is to make this quilt in Blues and Browns. I learned long ago, that Connecting Threads fabrics can sometimes go like hot cakes, so I put my order in right away. When the box arrived, I was so glad that I went ahead and ordered this collection. Because when they are gone......they are gone! Blog Hop Party and Giveaway! Wow, it's another fun party!! 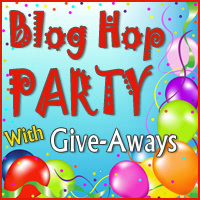 Are you going to hop on board for the Blog Hop party?? 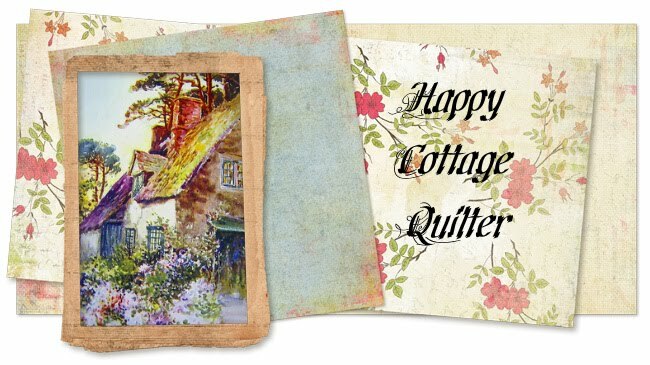 The Quilting Gallery is chasing away the winter blues by hosting a Blog Hop and Giveaway party starting on March 8th. You still have time to sign up. I will be participating in the giveaway, as part of my monthly giveaways until I am able to get back into the quilting groove. Wait!! Did you sign up for my February Giveaway yet?? Go to THIS POST and leave a comment. Only two days left until the giveaway closes. Here are a few more the quilts from the local quilt show. There was quite a diverse selection displayed of traditional, modern and just plain fun quilts. My favorite was the quilter. This was such an elegant piece. I had to show you the detail on this peacock. I was stunned to know that this next quilt was made with ties. We met the lady who made this quilt. She started making it a year ago, using her husbands ties. In April of last year, her husband died suddenly. So this quilt has become a tribute to him. I hope you enjoyed the mini quilt show. A week ago, my sister in love and I visited the local quilt show. It was a nice show, however the lighting was not very good, and there were not many vendors. We still enjoyed seeing the quilts that are displayed. I took quite a few pictures, but I don't want to put them all on one post. So I will spread them out. Not all the quilts carried the Heart theme. Hurry! Don't wait. Time is running out to vote for your favorites! The polls are open until February 28th. I want to thank all of you for your kind and encouraging words. Many have shared their own experiences and offered some great insights. Bloggers are the Best! And while I am not doing much quilting, I am doing a little cooking. So I thought I would share a great recipe for these cold winter days. Have you ever had baked potatoes left over? Or maybe you just like Baked potatoes. Last year I found this delicious recipe for Loaded Baked Potato Soup, and I've made it several times, especially when we have potatoes left over. I hope you enjoy this simple but delicious recipe. I usually make this recipe with left over baked potatoes, but you can certainly make your own. Wash and scrub baking potatoes, and bake for one hour at 400 degrees. Be sure to let the potatoes cool before peeling them. Peel and chop potatoes into pieces. Line a large baking sheet with tin foil and lay your bacon onto it. Bake at 375 degrees for about 20 minutes, or until crisp. Remove the bacon from the hot baking sheet to a plate lined with paper towels. Dab the excess grease from the bacon with another paper towel. Once the bacon has cooled, cut it into pieces. Add 1 1/2 cups of flour and quickly whisk flour and butter together until it forms a nice thick paste. Add 4 cups of milk, and 4 cups of half and half. Whisk the soup ingredients together over medium high heat. Keep stirring until the soup comes to a boil and gets thick, about 5 minutes. If the soup is thicker than you like add a little bit of milk or chicken broth to thin it out. Add the baked potato chunks and allow them to heat through. Add a bit of salt and pepper to taste. Serve with the bacon crumbles and grated cheddar cheese. **** I usually make 1/2 half of this recipe when I only have 4 potatoes left, and it comes out great! I hope you enjoy this tummy warming recipe. It's been a long slow journey here since the surgery on my broken wrist in December. Wednesday I had physical therapy AND a Doctor's appointment. I came away from both a little discouraged and disappointed. You see I have been doing hand therapy for about 8 weeks. My fingers are moving, but still lots of stiffness, and some swelling keeps me from making a very good fist. But the area that my Therapist and Doctor are concerned about is my wrist. I have very limited movement and still have pain. I am not able to move my wrist to a palm up position. So the therapist and Doctor want to put me in a device that would move my wrist. It sounds like a torture chamber. What discouraged me the most was that my Therapist would be happy if I can get 60% movement back, but the Doctor does not think I will regain that much. So I share all this with you because Wednesday when I got back home, I took up my Rotary cutter and tried once again to see if I could make a cut in fabric. And this was the result. It is slow and uncomfortable, and I can't do it for very long, BUT I did cut fabric!!!!! I felt like I had climbed Mount Everest! And last night I sewed these strips together. For the last two months, it seems like everyone was making Bonnie Hunters Scrap Along Trip Around the World. So my goal is to make the strips and work on making blocks for this quilt. This quilt had a "sold" sticker on it. It was such an amazing piece of work.. There is always something new and innovative to learn when I attend a quilt show. Not to mention visiting all of the vendors. A lot of times the vendors have some amazing samples on display. Too much temptation!! Recently I wanted to make a fun pillowcase for my therapists little daughter. I searched online and even printed a pillowcase pattern. But I remembered my sister-in-love made pillowcases she said were very easy. 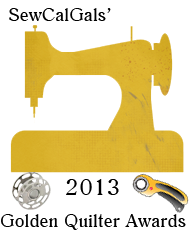 So yesterday I was reunited with my sewing machine after a 10 week separation. And as it turned out, this pillowcase pattern was SO quick and easy to put together. Begin with 1/4 yard piece (cuff) with right side of fabric facing up. Press the 2 1/2" accent piece lengthwise with WRONG sides together. Press the 3/4 yard fabric and place on top of other pieces with WRONG side facing up. Pin the three layers of fabric in place, making sure raw edges are lined up on the top. Now for the magic -- Roll the length of the 3/4 yard piece up towards the top raw edges. Machine stitch all pieces along the top raw edges using 1/4" seam allowance. Backstitch this seam. Grab the roll from the inside and turn the entire roll. You should now have the pillowcase cuff in place with no exposed seams. Press the sewn edges well. Fold pillowcase in half (WRONG sides together) with the pillowcase cuff edges together, lined up at the seam. Stitch side and bottom using 1/4" seam allowance. Turn inside out with the RIGHT sides together. Press seams. Stitch the seams again, but this time using a 1/2" seam allowance. Backstitch. Wha-la!! You now have a completed pillowcase. And here are the pillowcases I worked on. This pattern was much easier then some I found online. Making this tutorial is a great way for me to remember the steps. Let me know if you try it. UPDATE: I am adding a youtube by Missouri Quilt Company. Please note that my pillowcase has the french seam finish.